Street Food - Chinese Street Food - Best Street Food China. 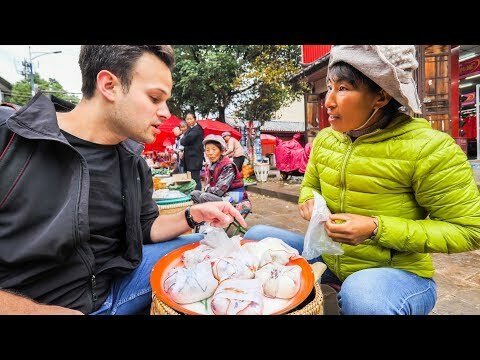 Chinese Street Food and Travel for Cheap in China! 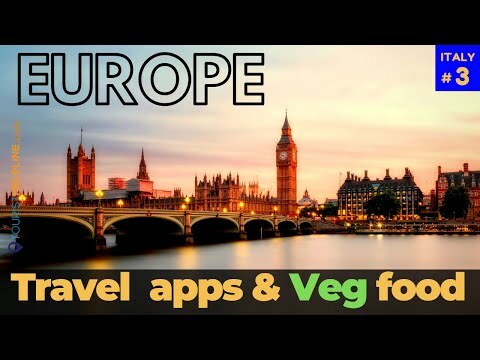 Traveling the world for cheap is not easy, but meeting up with Kevin Cook from Monkey Abroad to shoot his traveling the world for $20 per day series was a lot of fun! I took him around to some of the best Chinese street food in Chengdu, China, and we explored some local areas and had a great trip. Kevin is about to begin a trip traveling the world with no money alone (well, he's budgeted $20 per day, very cheap). In China, he's eating Chinese street food and other cuisine from cheap restaurants. In Chengdu, I gave him the full Chengdu food tour of my favourite places for cheap as well! In this Chinese street Food tour video with Kevin Cook, I took him around many places in Chengdu. First, we visited this local market near the outskirts of Chengdu, Sichuan, China, and found Chinese street food and the atmosphere to be mind blowing and exciting. It was truly an experience visiting this Chinese street market! So much food and Sichuan ingredients, so many flavours to try! We visited this morning market on a Friday morning in Chengdu at 9am with an empty stomach and not much money to blow with the goal of tasting some local dishes. I knew where I would be taking him, to my favourite little liangbancai wrap place! I wanted to give Kevin the true China experience in Chengdu, the full Sichuan experience. It was so busy, so many people, so many things to buy and look at, tons of vegetables, meat, live chickens, live hens, live roosters, everything you could want really. Fresh handmade noodles, cold "liangbancai", and a huge meat market deli area with hanging pork and beef and chicken to choose from. All of the locals were friendly and talkative, although a bit surprised to see a foreigner walking through the area! If you're visiting China as a tourist, you'll definitely want to take a wlak through a busy morning market like this. There are countless street foods to try and people will chat to you (if you speak a little mandarin). This market was mindblowing! Rather than trying hot pot in Chengdu or hot pot in Chongqing, you could try some way cooler food in Chengdu at local market or a noodle joint like this. This should be a top priority in my opinion! Afterwards, I took Kevin to my favourite noodle restaurant for lunch, the place that made me want to move to Sichuan. At the end of the day, Kevin spent less than $20 dollars for his food, transportation, and accommodation in Chengdu, China! It was a total blast! In this Chinese street Food tour video with Kevin Cook, I took him around many places in Chengdu. First, we visited this local market near the outskirts of Chengdu, Sichuan, China, and found Chinese street food and the atmosphere to be mind blowing and exciting. It was truly an experience visiting this Chinese street market! So much food and Sichuan ingredients, so many flavours to try! We visited this morning market on a Friday morning in Chengdu at 9am with an empty stomach and not much money to blow with the goal of tasting some local dishes. I knew where I would be taking him, to my favourite little liangbancai wrap place! I wanted to give Kevin the true China experience in Chengdu, the full Sichuan experience. It was so busy, so many people, so many things to buy and look at, tons of vegetables, meat, live chickens, live hens, live roosters, everything you could want really. Fresh handmade noodles, cold “liangbancai”, and a huge meat market deli area with hanging pork and beef and chicken to choose from. All of the locals were friendly and talkative, although a bit surprised to see a foreigner walking through the area! If you’re visiting China as a tourist, you’ll definitely want to take a wlak through a busy morning market like this. There are countless street foods to try and people will chat to you (if you speak a little mandarin). This market was mindblowing! So, who catches and who pitches? If you have to ask if you should take the tongue first, then you are the catcher. Man, Hole-in-the-wall dinner looked very good. I think if I was trying to economize here I might have passed on the rabbit-heads! Maybe one less dish at dinner, and you could have gotten some beer! Anyway, everything looked great here, it would be above-average Chinese restaurant food here in the US. Wow! Two camera action at 7:15! Even though Mr. Trevor's guest is handsome than him, but the charisma that Trevor's got is totally above the other one. ur videos r amazing! whats ur name pls? is it me or that person looks lot like ashton kachar..
both of them has a camera man. like a boss.